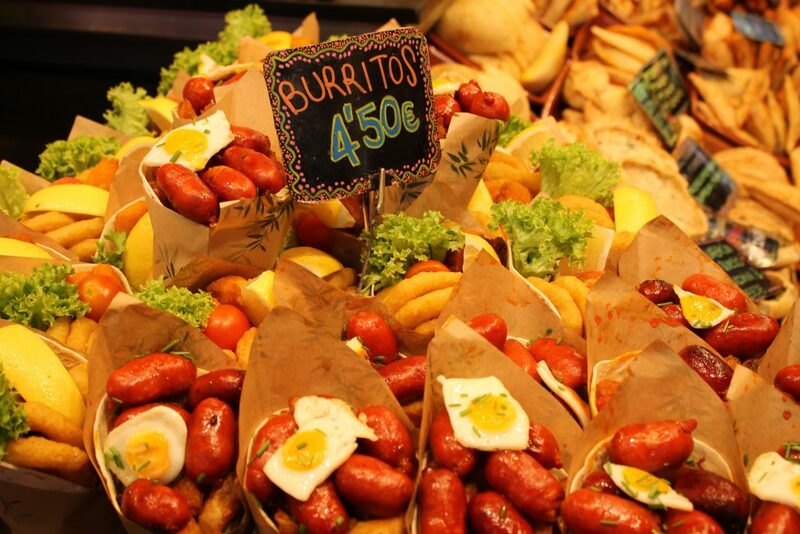 In stark contrast with my gastronomically wonderful but otherwise bleak Lisbon trip was my visit to Barcelona. It was my first time going there, no one I was with spoke a word of Spanish (I can get donde esta la fiesta/uno taco but that’s about the limit of my knowledge of the language), and we were there for Halloween. Basically, I have never felt more like a tourist anywhere in my life. Upon my arrival in Barcelona, I realised this would not be a problem: Americans love Barcelona. There were thousands of them, Barbour jackets and all. And in return, it would appear that Barcelona loves America. They have more American stores than Charlottesville, with the Sephora being a two-floor monstrosity complete with a red carpet (I kid you not), flashing escalators, and a WELCOME DESK. What exactly do you need a welcome desk for? How many burning questions can shoppers have that someone deemed that necessary? Is your perfume-buying experience somehow diminished if you aren’t given a brochure? But that’s besides the point. Back to Barcelona. It’s a given that the food was amazing and the clubs were fun, but the actual city itself was so cool. You could be in the middle of the city, cross a few (ok like 12 plus maybe a metro stop) streets, and end up on the beach. It’s insane. I went into this trip with relatively low and all stereotypical expectations. However, I was never once serenaded by a mariachi band or handed a free taco or solicited into buying a sombrero. The reason for this is because I am an idiot and all three of those things are in fact Mexican and have nothing to do with Spain. 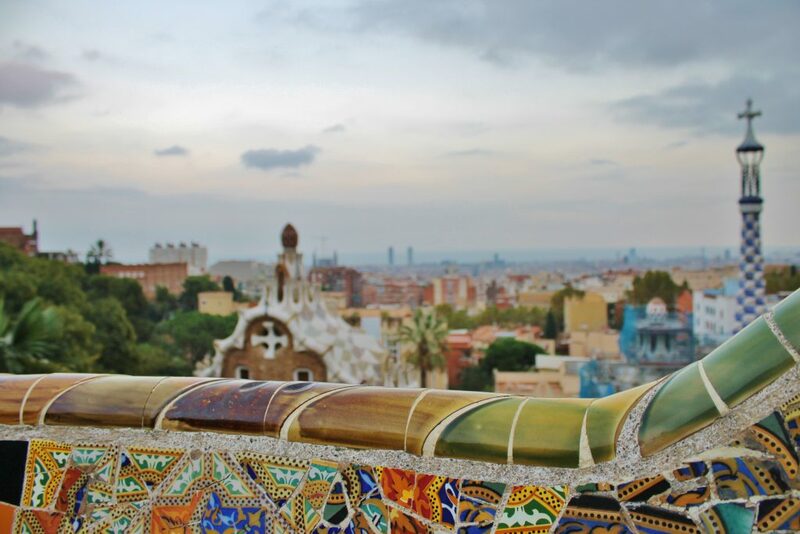 So I would say that Barcelona exceeded all my expectations, but all my expectations were for the wrong country; I’ll say instead that Barcelona was wonderful and if you can ever get the chance to go, do it. 1. 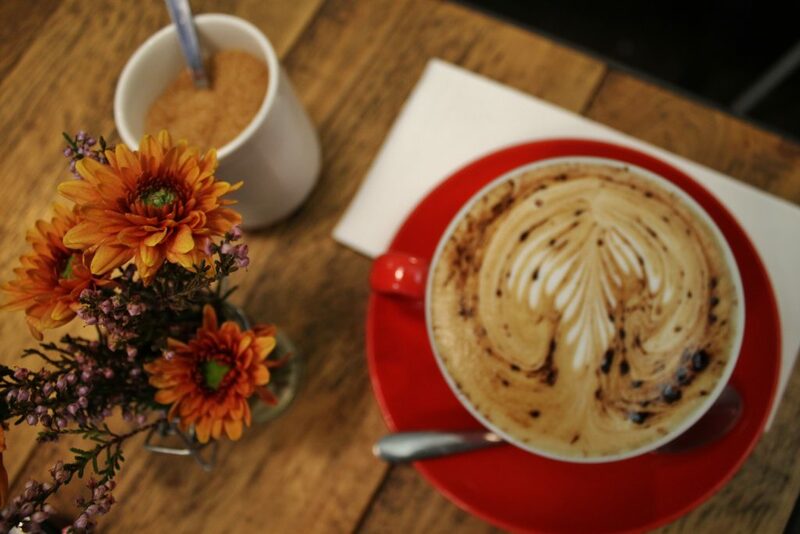 Brunch and Cake– do you like brunch? do you like cake? The answer is obviously yes to both these questions, so I am here to inform you of a place that exists that literally serves you CAKE with your brunch. 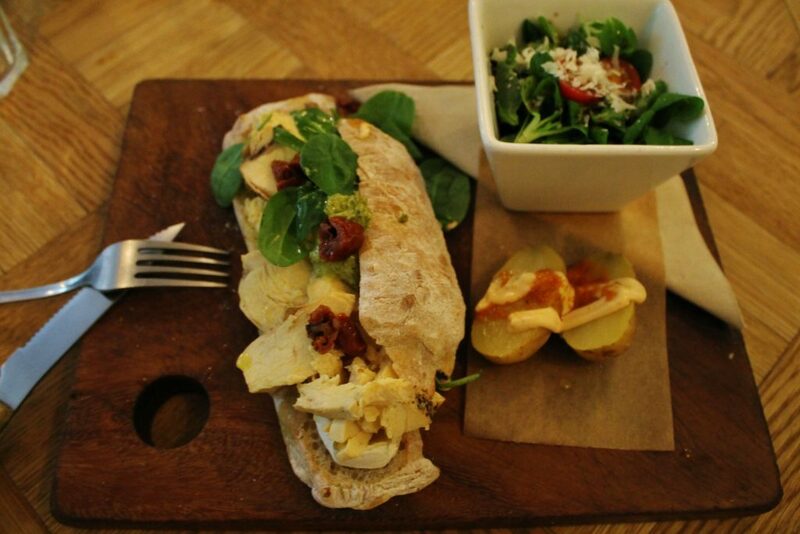 I’m not sure if my excitement is properly being conveyed via blog post here, but the cakes are so good and so is the regular food: here you see a panino involving a lot of green leaves, ordered to disguise the fact that I also ordered a massive piece of red velvet cake. The best part is those leaves actually tasted good- this place makes healthy (well, as healthy as it can be when accompanied by cake) yummy. 2. Churros- ugh. Regret. They were not good. If you want a good churro experience, get the Pillsbury kind and drench it in chocolate that actually has sugar in it. 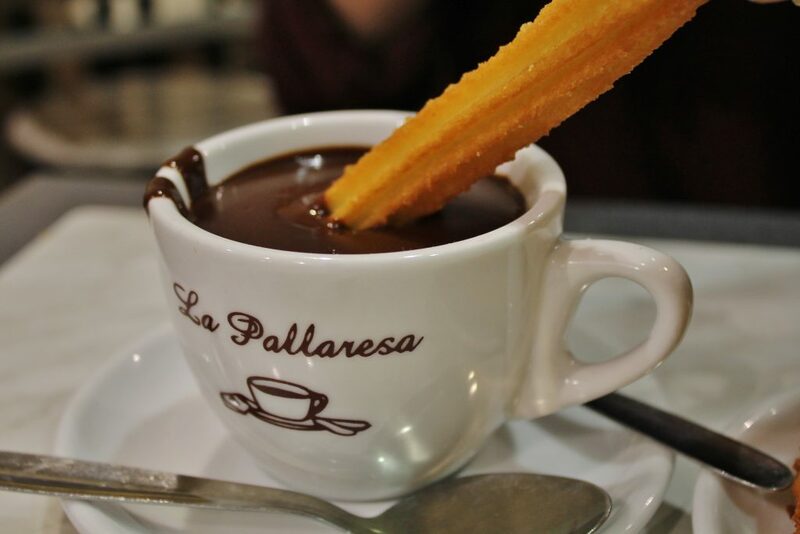 The only reason I’ve included churros here is because the pictures are good. 3. 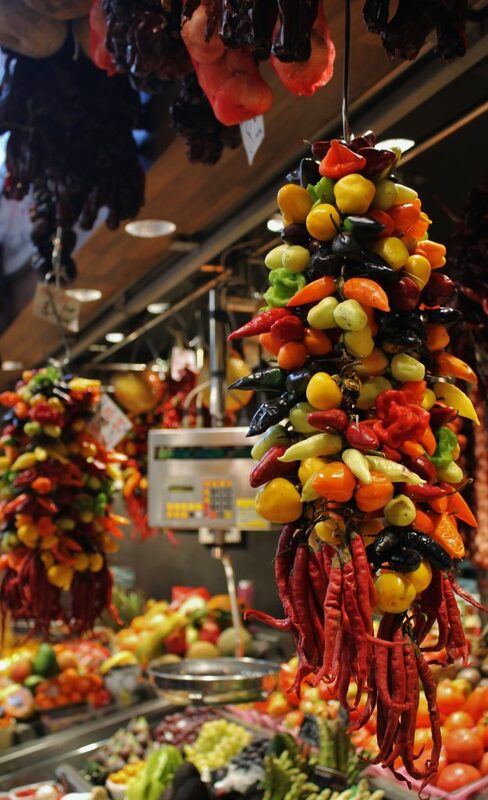 La Boqueria- An indoor market with the best (and also the only) empanadas I’ve eaten. Buy a juice at one of the stands; they’re around a euro each and come in 20 different flavours. Also they’re really brightly coloured and if you end up with one that doesn’t actually taste good, you can at least Instagram it. 4. Caravelle brunch- You might say I’m a brunch addict. You would be correct. This place was so cute and tiny and pretty that it inspired me to order a spur of the moment cappuccino, something I haven’t done since age 13 when I still considered a Starbucks frap “real coffee”. The menu is small but everything (or at least everything we had) was so good, and the coffee was one of the most beautiful things I have ever been presented with. 5. 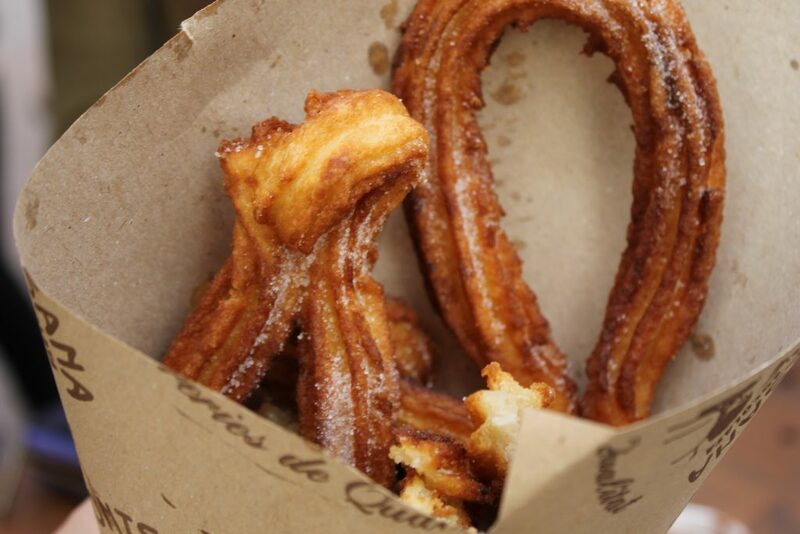 More churros. See number two. Avoid at all costs. 6. La Rosa Negra (not pictured)- the reason this place is not pictured is because I am not in the habit of bringing my camera with me when I go out because I will probably definitely spill on it, and this place was where we went for dinner and drinks before going out on Halloween. I love a taco as much as the next person, but I have never had one that I would actually cry over. Until this place. Also, they had THE BEST frozen margaritas and mojitos (my favourite) in funky flavours like passionfruit for only 3,50. I want to know when I can move in. 1. Arc de Triomphe- I like how they didn’t even attempt to give it a more creative name. 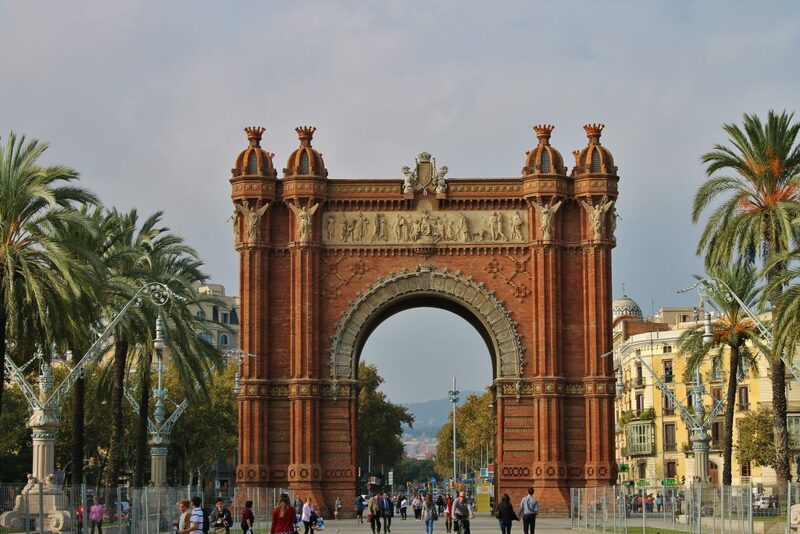 I think it’s actually called “Spanish Arc de Triomphe”. 2. Park Guell- I committed one of the 7 deadly Spanish sins and did not actually go to Sagrada Familia (I also thought it was called Sangria Familia for an embarrassingly long time, so take that as you will). 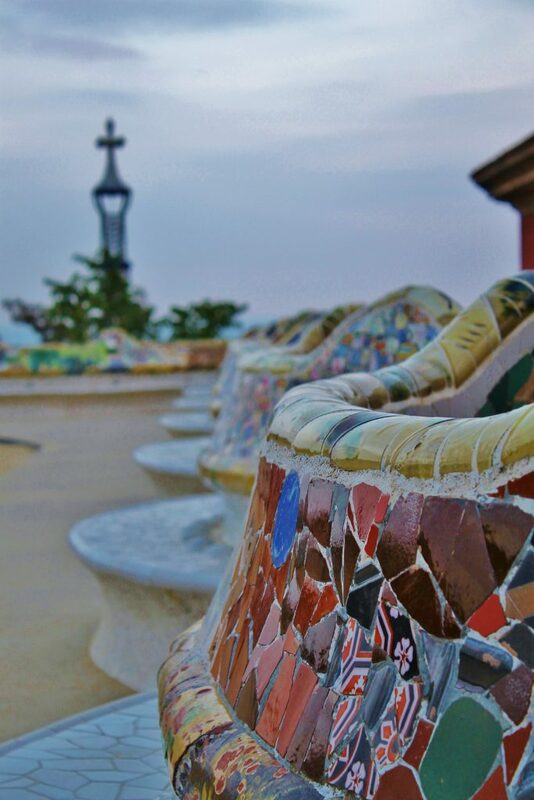 I did go to the Gaudi Park though, (Park Guell) and it was really pretty with a lot of colourful mosaics. You do have to pay and you’re only allotted a certain amount of time in the conserved area, but if you play your cards right and are as sneaky as I am, you can just sit there for as long as you want and watch all the tourists take selfies. 3. The Beach- There are so many, you can literally pick one at random and it’s going to be beautiful. They’re close to the clubs, so you can pregame/postgame in a more scenic location than your hostel room, but also go during the daytime. We went on the last full day and just sat there for a few hours. Aside from the women aggressively trying to give us foot massages and the guys trying to sell us what they called mojitos but were probably sparkling water with green food dye, it was perfect. 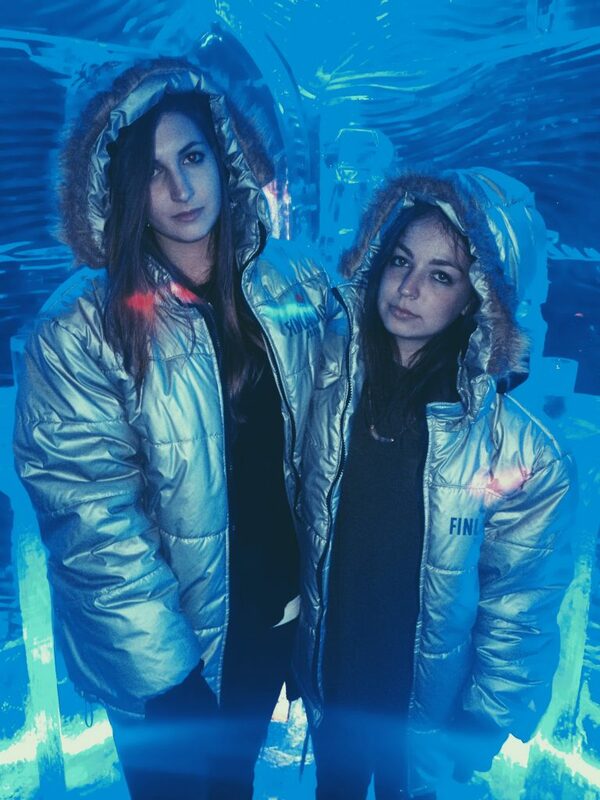 we went to the Ice Bar so you don’t have to: save your money and go buy a nice drink on the beach. For a similar effect without having to spend money, you can wear a big coat to the beach.